The goal of this blog is to make the artifacts in Midway Village Museum’s collection more available to the public, day or night, by just a few clicks of the mouse! Some of these items may never be displayed on exhibition because of their condition or because of the large size of the collection. Feel free to subscribe, leave comments, and let us know what you’d like to see! All photographs of artifacts are owned by Midway Village Museum. Reproductions of the photographs are available by contacting the Collections Department at (815) 397-9112. This blog is maintained by the Collections Department at Midway Village Museum, the staff members and volunteers who work tirelessly behind the scenes to save, preserve, and display artifacts from Rockford’s long history. Hello… This blog is a wonderful idea. Let me know if there’s any way (research, whatever) I can support it. Nice catch, Dan! And thanks for subscribing! You may be a valuable asset when Civil War Days comes around again. The episode you’re referring to was originally aired on December 17, 2005. That summer, the producing company Towers Productions came to film parts of the episode using our living history village as their set. The Museum did not contribute any informtion or sources relating to the UFO activities depicted in the episode, but merely acted as a backdrop for some of the dramatic reenactments. I was recently speaking with my mother about the museum, and she told me that my great grand parents had donated things to the museum years ago. Do they keep track of those donations? It would be interesting to see. Yes, we do keep track of donor information. By contacting the Curator of Collections Laura Furman with the names of your great grandparents, she can give you more information on their donation. You can contact her at laura.furman@midwayvillage.com or (815) 397-9112. Hello folks. I believe that I may have an original Rockford sock monkey. It was given to me by my grandmother in the early 70s. The monkey wears a red corduroy dress and used to have a matching African Kufi hat. The mouth pattern is a smile. The ears, hands, feet, neck…are all tied with strings to form its shape and has buttons for eyes. How can one verify an original Rockford vs a home made depression era made sock monkey? It can be difficult to date a sock monkey, because the way the Original Rockford socks were manufactured did not change for about 100 years. The sock was made on two different machines, one for the top and one for the bottom, and then was hand sewn together by ‘looping.’ However, Nelson Knitting introduced the red heel in 1932, so any dolls or ‘monkeys’ that are made of two-toned socks were most likely made before then. What your monkey is stuffed with can also help you date it. We have worked with Whitney Shroyer at the Red Heel Monkey Shelter in Asheville, North Carolina with our Sock Monkey Madness Event, and feel that they could give you more in-depth assistance with your sock monkey. You can contact him at (828) 231-3929 or at sockmonkey@whizzkid1.com. Good luck, and thanks for thinking of us! Read of your Mar, 2012 sock monkey madness festival, will it be an annual event? Have a friend from Spencer, IA who does VERY clever animals of all kinds with the socks. Our Sock Monkey Madness Festival has been an annual event since 2005. The dates for the event in 2013 are March 2 & 3. Check out our website early next year for more details! Did you guys acquire that Milwaukee Road caboose that sat for years next to S. Main by one of the now gone warehouses?? We visited Tinker and they said ity sat there and then it was gone. No, we do not have the caboose. Try contacting the Community Development Committee of the City of Rockford for more information on its location. I am currently clearing out my grandparents house and have found some WWII artifacts (ie: Nazi anti-aircraft badge, USA right angle flashlight, etc.) that my family would like to sell. I would like to know if there are any local collectors I could get in contact with. Because we are a museum that relies mostly on donations, we do not appraise items and therefore do not deal much with local collectors. However, I would suggest that you contact East State Antique Mall or other local antique shops that may know collectors of WWII memorabilia and can help you further. I would contact Veteran’s Memorial Hall, as their collections are more of a military nature. Hi, could you please tell me what business is located at 114 North Madison St. Rockford Il.? I have pictures when it was Smith & Enander Motorcycles and Bicycles. Currently the building at that address is vacant. 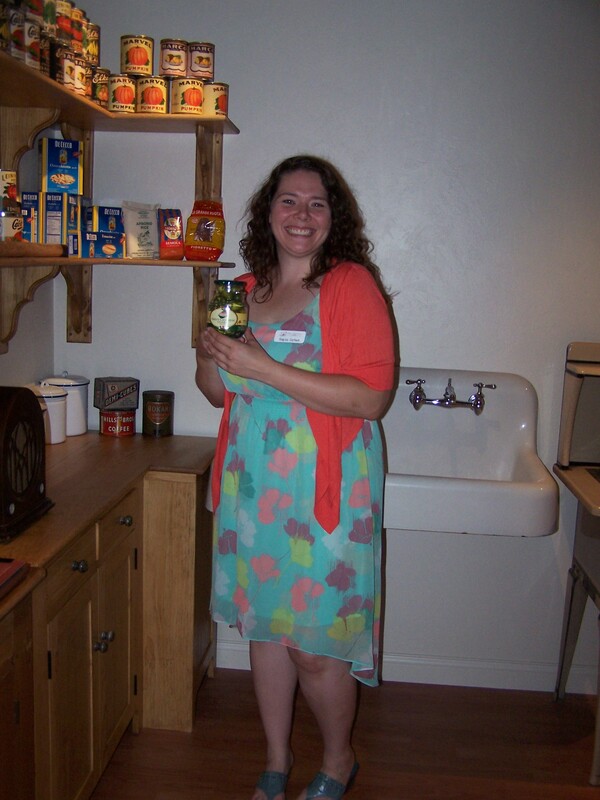 Our Educator, Katie Kelley, is interested in learning more about your rope maker. You can contact her at (815) 397-9112 ext. 106 or katie.kelley@midwayvillage.com. The museum opened in 1974 after six years of planning and organizing by the Swedish, Harlem, and Rockford Historical Societies. The original museum site was only 11 acres, and there were five historical buildings in our Village. Today, we have grown to be a 148 acre campus with 26 buildings. Our most recent addition to the museum center is the 6,000 square foot exhibition space which houses Many Faces, One Community, an exhibit outlining immigration to Rockford. This exhibit was completed in July 2014 after fourteen years of careful and meticulous planning. We hope that you enjoy your tour! The museum’s permanent collection represents the history of Rockford since its beginning in 1834. Our Living History Village depicts life in Rockford between 1890-1910, although a few of our houses pre-date that. We visited today and wondered if the barns and buildings were really from that era or were reconstructions. They are in good condition. What about the cemetery. Is that original, or were the stones moved there from someplace else? The buildings in our Village are a mix of Reproduction and Original buildings. Any original buildings were brought to the museum from nearby areas, and reproduction ones were built on site. This page on the Museum’s website: http://www.midwayvillage.com/wordpress/about-us/midway-village-map/ has the map of the Village and includes the dates the original buildings were built. The stones in the graveyard were donated to the museum. If you visit the museum after our Village opens May 9th, you can get a guided tour of the buildings and learn more about them. I submitted a comment on March 23, 2015 that’s shown as still awaiting moderation so I don’t know if it got out to the general blog reader. So I’ll comment again this time aimed at the audience of blog readers. I’m interested in any photos, documents and other information about Stephen Skinner (a Rockford pioneer in 1839) and his “kids” Charles W., George E., James B., Marvin H., Henry M., Mary Jane. 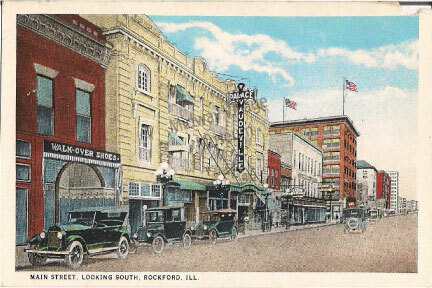 I have quite a bit of info from the several published books about Rockford and Winnebago County as well as numerous newspaper articles and ads from Rockford area newspapers, censuses, City Directories, etc . So what I’m seeking is other kinds of info that would not typically be covered in those sources which may be in personal files, local flea market & antique shop photos, etc. I apologize for not getting back to you sooner, but we’ve recently had a staff turnover and I was just made aware of this blog. After looking through our records and archives, we thought it would be best to give you Jean Lythgoe’s contact information. Mrs. Lythgoe works at Freeport Public Library in the Genealogy department and she may have some of the documentation that you are searching for. Her number is 965-7606 ext. 631 and her email is jlythgoe@rockfordpubliclibrary.org. Thanks for getting back to me. I have been in touch with Jean Lythgoe in the past and will follow up with her on any specific questions. I think I also read that your predecessor is now at the Mark Twain Museum in Hartford, CT which is less than an hour from me here in Sturbridge, MA. I plan to visit her and pick her brain about Rockford historical info. As I get more of my SKINNER research completed I’ll send it to you for your files. I hope to make a trip to Rockford for research next year. MVM will definitely be on my list of stops. This is such a great idea. I like that there may be things on this blog that you aren’t able to see. Thanks!